Copper Canyon (Barrancas del Cobre in Spanish) in the Sierra Occidental Mountains in Northwestern Mexico, is a series of six copper-green coloured canyons. The total area of the canyon rivals that of the Grand Canyon in the USA. 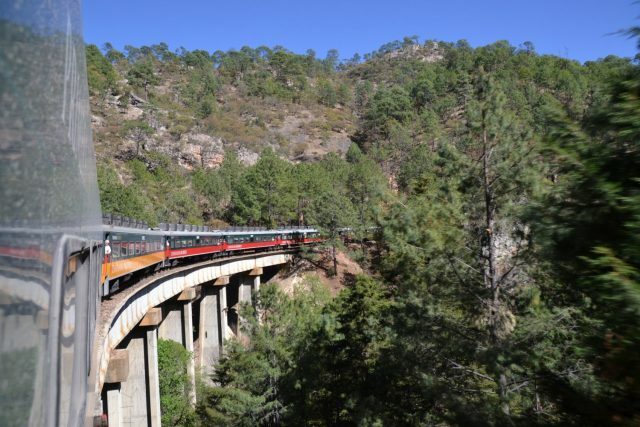 It stretches from Chihuahua to Los Mochis, linked by the famous Copper Canyon railway – Ferrocarril Chihuahua al Pacífico, otherwise known as El Chepe. This great railway winds through stunning landscapes ranging from 8,000 feet to sea level and features 87 tunnels and 36 bridges, creating the perfect setting for a fantastic Copper Canyon train ride. 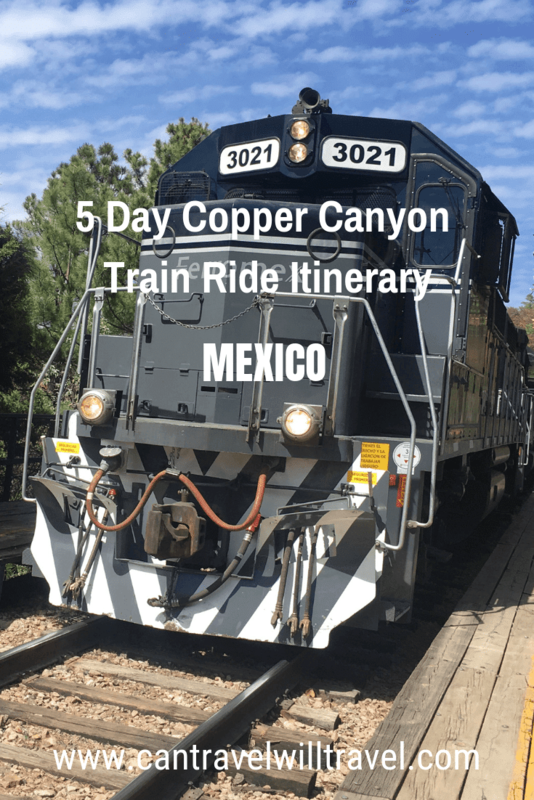 We first heard about the Copper Canyon train ride on arriving in Mexico and immediately knew we had to do it. It was an AMAZING experience and our favourite in Mexico. The research and planning proved a bit tricky, to say the least, but as we weren’t interested in any organised Copper Canyon tours, I finally managed to create a 5-day Copper Canyon itinerary. Our Copper Canyon train schedule was tailored to suit our time restraints and budget and included a combination of classes of El Chepe train, bus, and colectivo to keep costs down. IMPORTANT: Shortly after our Copper Canyon trip, El Chepe rebranded. This included changes to the train class names, the days and times the trains run, and where they stop. So, although I’ve based the suggested itinerary on our own experience, I’ve used current up-to-date information (verified with El Chepe). I’ve also included options dependent on which class train you take. This should give you everything you need to adapt it to your own itinerary. Travel through Copper Canyon can be in either direction; from Chihuahua to Los Mochis or vice versa. Alternative start points are Creel and El Fuerte which are slightly further along the railway towards the canyon from either end. Our journey began in Chihuahua and went all the way to Los Mochis. 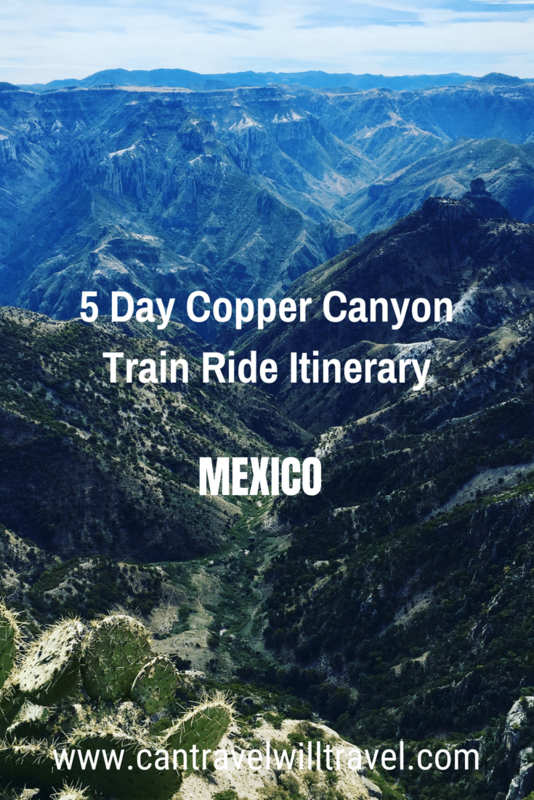 Note: If you’re struggling to find out information on Copper Canyon railway or El Chepe ticket booking process we’ve simplified it for you with this step-by-step guide: How to Book El Chepe Train Tickets for Copper Canyon. 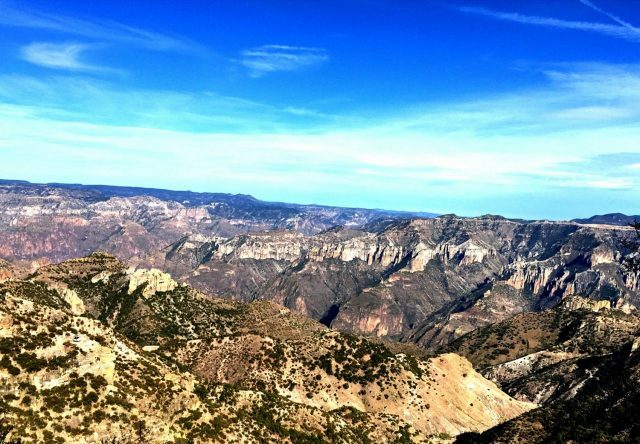 I’d recommend at least a full day in Chihuahua before or after your Copper Canyon trip. This city in the Mexican desert is in cowboy country and it’s an interesting place to visit. 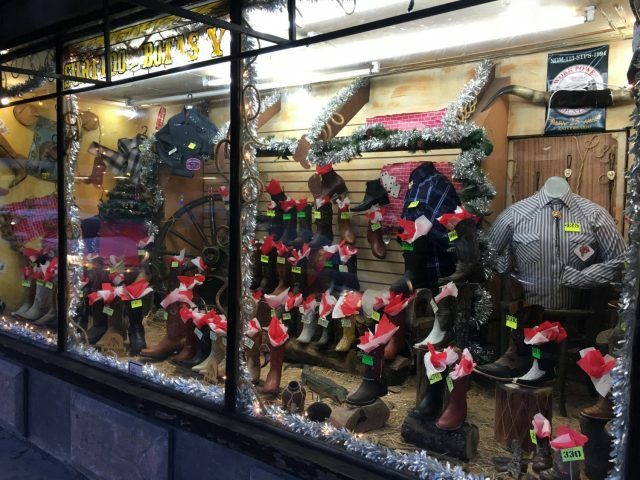 Every other store sells cowboy boots, hats and shirts, in a multitude of different colours and designs. There’s also a very high possibility you’ll meet cowboys sauntering down the street and riding on horseback. 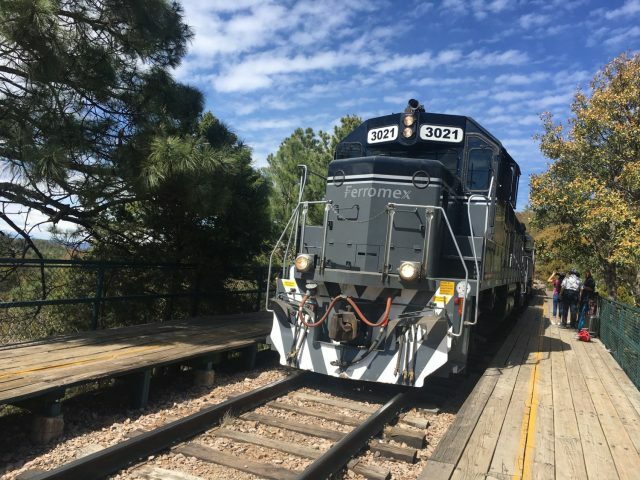 Based on our own Copper Canyon trip here’s our suggested 5-day Copper Canyon train ride itinerary from Chihuahua to Los Mochis. Reverse it if you want to travel in the other direction, add in extra days if you’ve more time, and swap activities about depending on your chosen transport. If you’re on a budget or aren’t a fan of getting up before dawn to catch a 6 am train taking the bus from Chihuahua to Creel is the best option. This is the least scenic part of the journey and not in the canyon itself. This means you won’t miss much by taking the bus, plus, it’s quicker than the train by an hour or so. Catch the bus to Creel from Rapidos Cuauhtemoc bus station, with the bus company by the same name. The bus times on the official website were wrong when we looked, but I found correct times on the Busbud website, which our guesthouse host verified. At my last check buses run throughout the day, with early morning ones at 5:50 am, 7:20 am and 9:20 am. Double check the times with the host at your accommodation though, just in case. Buy your tickets at the bus station; they cost us 244 pesos (£9.50) per person. The bus ride from Chihuahua to Creel takes four to five hours and despite the windy roads is relatively comfy. This is a necessary part of the journey to reach the start of the Copper Canyon but is fairly non-eventful scenery-wise. For the first three hours you’ll cut through flattish plains, then as the desert gets left behind the scenery becomes more interesting. Grassland and rolling hills break into clusters of pine and juniper trees. Then there’s the odd ranch nestled amongst cornfields and fruit orchards. 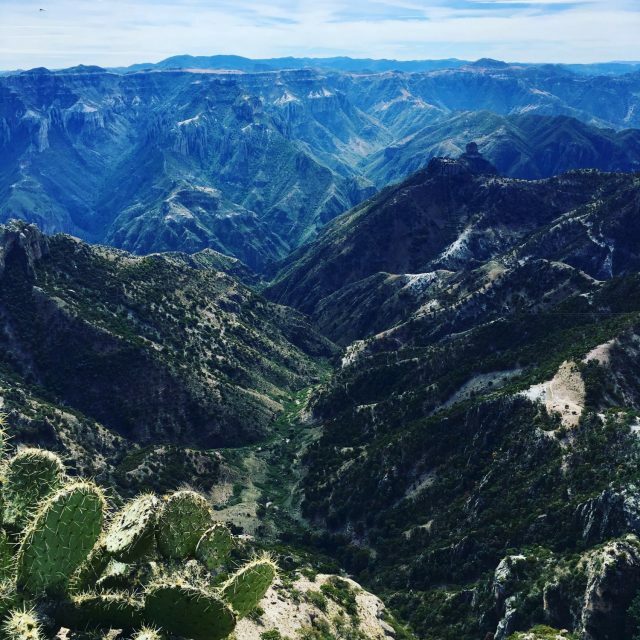 Glimpses of the Sierra Tarahumara eventually appear in the distance and the landscape transforms into pine-dotted valleys and ridges. Towards the end of the drive, you’ll go through some authentic Mexican towns and villages. These are an interesting contrast to the rugged landscape that follows over next few days. En-route vendors will board the bus to sell fruit, snacks and soft drinks. Try the tasty homemade crisps (chips) drenched in hot sauce for around 20 pesos (£0.80). If you’re lucky (or unlucky) a mariachi or two may also jump on to perform traditional music to earn a few pesos. 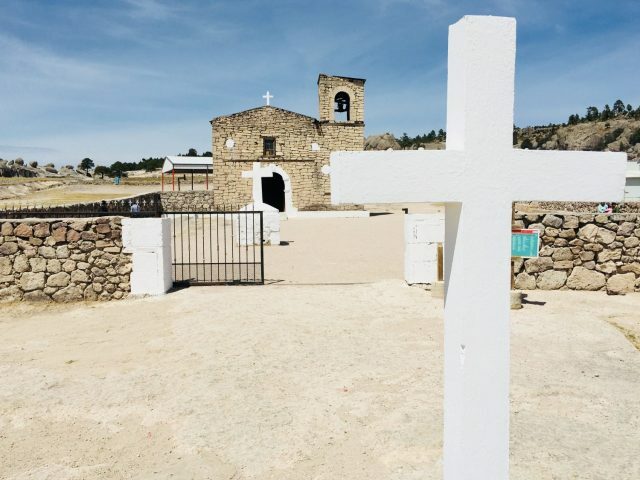 Depending on when you left Chihuahua you should arrive into the picturesque mountain village of Creel, one of Mexico’s Pueblo Magicos or Magical Towns, early to mid-afternoon. Pre-booking accommodation isn’t essential because touts from hotels and guesthouses flock to the bus when it arrives. 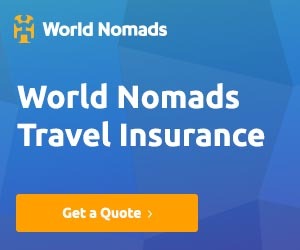 Do think about booking in advance though when travelling during a festival such as Semana Santa or during peak Mexican holiday season in July and August. Before you explore Creel you’re going to need lunch, for which there are several options in town. For authentic Chihuahuan food, head back towards the train station to Hospital Para Crudos (Hospital for Hangovers). This is a popular no-frills eatery serving a variety of rich, inexpensive dishes. We both ate a delicious chicken mole burrito for 22 pesos (£0.88) each and understand the pozole is also excellent. After you’ve eaten, take a wander around Creel’s small town centre. Start at the pretty main plaza or square where Tarahumara women sell colourful textiles draped over the low fences. The Tarahumara are a group of indigenous people that still lead partially nomadic lives in caves and wood huts throughout the Copper Cayon. Locally known as Rarámuri, they are famed for their long-distance running abilities. Once you leave the plaza, walk along Creel’s colourful main street that runs alongside the railway. Hotels, restaurants, cafes and shops line the street, along with a couple of agencies that run tours into the canyon and surrounding areas. Mingling with domestic tourists and Rarámuri you’ll also encounter local cowboys on foot or horseback going about their daily cowboy business. Pick up some picnic food for lunch the next day and head back to your accommodation for a while. Not much happens in the evenings in Creel so it’s likely you’ll just eat dinner where you’re staying or at one of the eateries on the main street. That’s the extent of the weekday nightlife so why not get an early night and be up bright and breezy the next morning for a full day of sightseeing. Although there may not be loads to see and do in Creel itself, there’s plenty in the surrounding area. 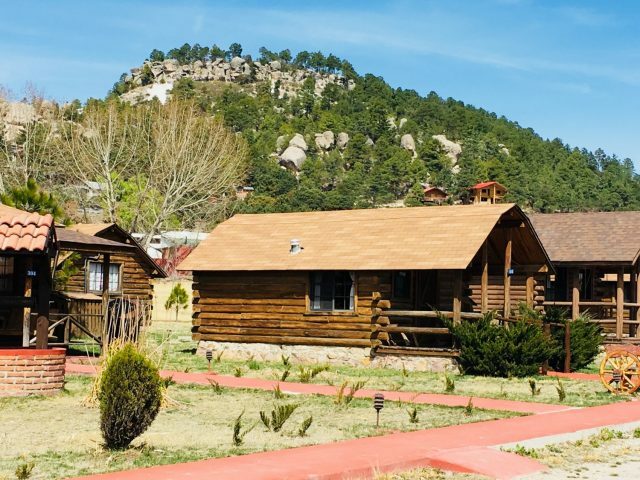 Several options are close by that are perfect for only one full day in Creel and others need an overnight or multi-day trip. 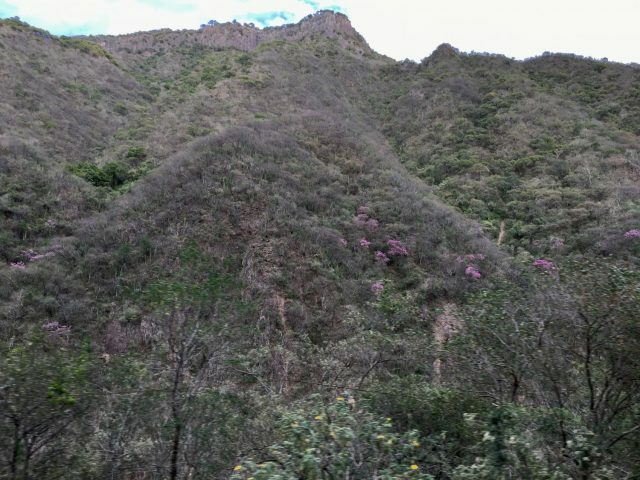 One option is to explore a loop in the forested hills and mountains of San Ignacio Arareko overlooking Creel. This 20,000-hectare area of land is a community managed project looked after by a Rarámuri community. With only one day to spare and as we prefer to do things independently when possible, we hiked the loop without a guide. To do this, buy tickets from one of the booths set up around the perimeter of the project. It costs 20 pesos (£0.80) each which helps support the Rarámuri community and maintenance of the area. You can follow the hand-drawn, photocopied map they give you, alongside Google Maps or Maps.me to find many of the nearby key sites. An alternative to hiking is to rent a bicycle or arrange a guided horse ride from town to do the same loop. If using a local guide is your preference then your accommodation should be able to put you in touch with one. Below is the loop we hiked. You could do this in a different order or miss certain things out depending on your time, interests and how far you want to walk. About 3.5 km outside of Creel to the right of the main trail is San Sebastian Cave. This is an example of the typical Rarámuri cave dwellings that are dotted throughout this part of Mexico. You can enter the cave to look around and possibly buy handicrafts made there. We skipped this as we felt uncomfortable with the idea of gawking at the Rarámuri people in their own homes. We did, however, bump into several Rarámuri families throughout our hike and they were all very friendly. A bit further along the trail, about 5 km outside of Creel, is Valle de las Ranjas (Valley of the Frogs) and Valle de los Hongos (Valley of the Mushrooms). 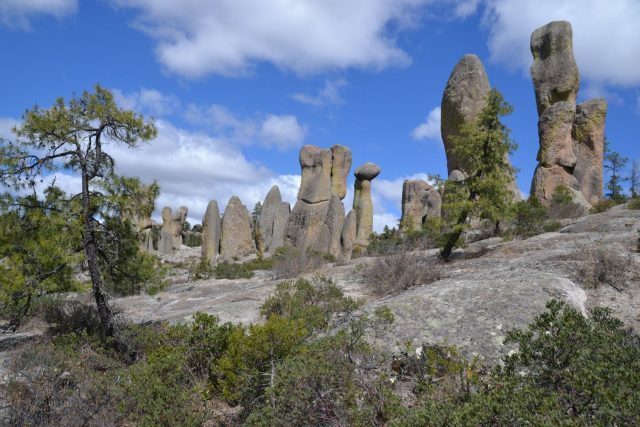 As the names suggest these are groups of natural rock formations [vaguely] resembling frogs and mushrooms. On the lowest flat surfaces of the rocks, Rarámuri women and children set up camp for the day to sell their handicrafts to supplement their income. With a bit of luck, you may witness a local festival or ceremony. When we were standing amongst the frog rock formations we heard drumming and a small parade of Rarámuri men walked past. We could hear the drumming for the rest of our hike as it echoed off the rocks. We’re not sure what it was about, but it was near Semana Santa time so it may have to do with that. Down to the left of the frog and mushroom rocks, you’ll see the 18th century San Ignacio Misson. Built by Jesuits, this small church is still used by Rarámuri communities to worship. Have a quick look around inside, but be prepared for the tiny children that will follow trying to sell trinkets calling ”compras, compras” (”you buy, you buy”). Behind the Mission is a small shop where you can buy drinks and snacks from a smiling Rarámuri lady. Take them over to the nearby basketball court and escape from the sun in the shade for a bit. You may even get to watch some local youngsters shooting hoops – a fun insight into local valley life. After some rest and refreshment, move onto Lake Arareko. It’s about another 5 km (10 km total from Creel), so make sure you have water and try not to go off-piste as we did. We ended up traipsing through boggy farmland full of cattle, which made me rather nervous after my incident with a beach cow in Goa, India. En-route to the lake, you’ll encounter all kinds of farm animals and birds. Cows, horses, goats, chickens and ducks roam the fields and loiter in the middle of trails and roads. The tranquil u-shaped Arareko Lake is set amongst fragrant pines and is a great spot for a picnic lunch. It’s not ‘spectacular’ as far as lakes go, but it’s peaceful and makes for a nice place to recover from your hike so far. After lunch, you could rent out a rowing boat for 60 pesos (£2.50) to paddle around the central island with its rock formations. If you get an early start you could hike another 5 km to Valle de los Monjes (Valley of the Monks). There’s an extra entrance fee of 15 pesos (£0.78). Amusingly the Rarámuri actually called it Valle de Bisabirachi (Valley of the Erect Penises) because of its phallic rock formations. It was later renamed by the Spanish who thought Valley of the Monks was much more appropriate. If you don’t have the time or energy you could return early in the morning of day 3 (if you’re getting the late morning train). If you only have one full day in Creel, a loop of the nearby sites like this is a fun way to spend it. 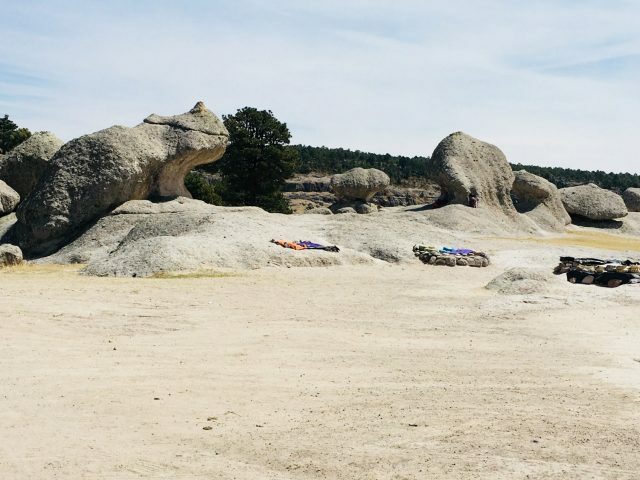 Even if bizarre rock formations aren’t your thing, it’s still good to get out hiking, cycling or horseriding and experience local life whilst you’re at it. It can get very hot during the day in Copper Canyon so take water, sunscreen and a sunhat. Here’s Andy’s video of our days hike. After all that exercise, you’ll probably just want to shower, change and head out for dinner. Again, the town may be quiet, unless you’re there on a weekend night like we were. On a weekend there may be more locals out socialising and a few more domestic and international tourists. Unfortunately, we can’t recommend anywhere else for food, as the pizza we had in the restaurant next to Best Western Lodge was disappointing. However, despite the mediocre food, they do offer a selection of craft beers, which Andy enjoyed. There are a few other restaurants in town so just pick somewhere that takes your fancy. After dinner, you could pop into Las Botellas Bar, located in the Best Western Lodge, for a post-dinner drink and a game of pool. It was the only place we found with anyone else in and was quite busy on the Friday with locals having fun and listening to mariachi performing at the bar. If you have more than one full day in Creel you could venture further afield. 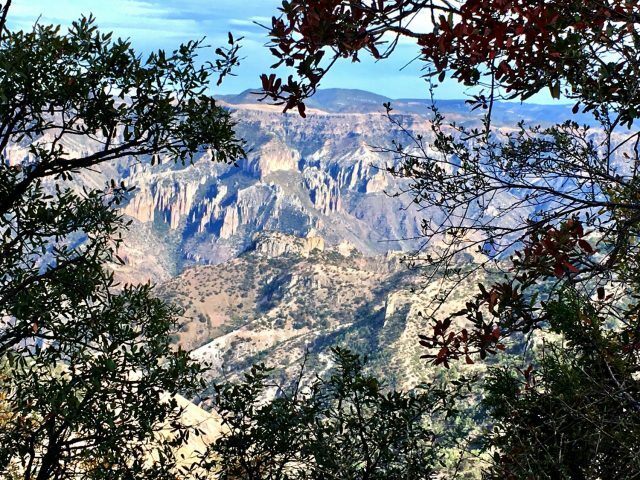 A multi-day Copper Canyon hike into the canyon with camping sounded like a great option. Other activities include Cusarare Waterfall and Basaseachic Waterfall (the second highest in Mexico). Batopilas an 18th-century mining town at the bottom of the canyon also looked intriguing. If you decide to do one of these or similar I’d recommend contacting one of the Copper Canyon tour agencies in town. The most popular are Three Amigos, Eco Alter Native Tours and Canyons Adventure. The time you get up on day three will depend on which El Chepe train you’re catching from Creel. Chepe Express leaves Creel daily at 6 am, whilst Chepe Regional leaves at 11:47 am on Monday, Thursday and Saturday. If you’re catching the later Chepe regional and get up early you’d have time to visit Valle de los Monjes or do more hiking or cycling first thing. There are also a couple more attractions in Creel town that you could check out on the way to get the train. Seconds from the train station on the other side of the platform is the Museo de Arte Popular. It’s a small museum with displays of photographs and other exhibits of Rarámuri culture. It’s a simple museum and only costs 10 pesos (£0.40) to enter. 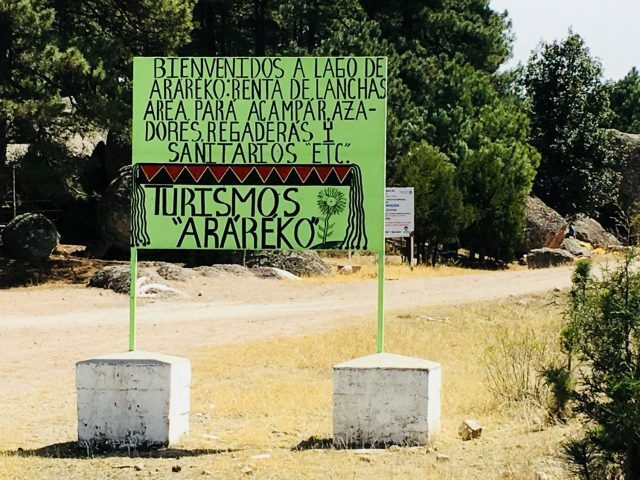 It’s worth a quick look if you want to learn more about the Rarámuri who live throughout Copper Canyon. If you’re in the mood for souvenir shopping, have a browse of the Artesanias Mision handicraft store. It’s on the main plaza and has all sorts for sale including baskets, dolls, textiles, bracelets and a whole host of other handicrafts. By purchasing something here you’ll be supporting the local Rarámuri communities. Be sure to get to the platform about 30 minutes early, especially if you want to travel on the Economica (Economy) class of the Chepe Regional. Note: You MUST buy Chepe Express and Chepe Regional – Turista (Tourist) class in advance as you won’t be able to buy them on the train. See more detail in our post How to Book El Chepe Train Tickets for Copper Canyon. This also includes schedules and prices for all classes. The majority of locals use Economica class and seats aren’t guaranteed until you buy a ticket from the conductor on the train. Half an hour before the train’s due everyone starts congregating on the platform, jostling for the best position to get a seat. There should be railway staff about to ask where the best waiting spot is. A little Spanish will help here, but failing that some gesticulation should get your message across. When the train arrives, if you’re travelling on Chepe Express just get on the train and find the seat allocated on your pre-booked printed ticket. If you’re on Chepe Regional, especially Economica, it may be a different story. Be prepared to stand your ground in the crowd to ensure you and your luggage get on the train. For us, they only opened one door in Economica, so we crowded on and into the food car with the locals and waited, unsure of what to do next. The conductor should ask who’s going all the way to Los Mochis and who’s getting off at an earlier station. He’ll then direct you either up or down the train to different carriages. Wait in the aisle and soon the conductor should come to allocate your seat. Ask for a seat on the left if you’re travelling the Creel to Los Mochis direction and vice versa as that’s where you’ll get the best views. Once you’re finally seated the conductor will collect payment for your ticket. You’ll be spared all this rigamarole if you’re in Chepe Express as you’ll have already been seated for ten minutes. This leg of the journey will be the shortest of your Copper Canyon train ride. It takes about 1.5 hours to reach Divisadero from Creel and another ten minutes or so to get to Posada Barrancas. Note: Chepe Express DOES NOT stop in Posada Barrancas. If you’re travelling on that class train and want to spend the night in Posada Barrancas you’ll need to get off at Divisadero and either walk the extra 5 km or so or arrange for your Posada Barrancas hotel to pick you up. There isn’t much to see for the first hour as it’s mainly a continuation of the pine-covered hilly landscape at the end of the previous stretch from Chihuahua to Creel. Do take a moment though, to stand in between carriages and appreciate the fresh mountain air that rushes in the windows. After an hour or so you still won’t quite be in the canyon, but the scenery starts to get more interesting as the land becomes more rugged and the valleys deeper. Then the train will arrive at Divisadero station and you’ll enter Copper Canyon itself. 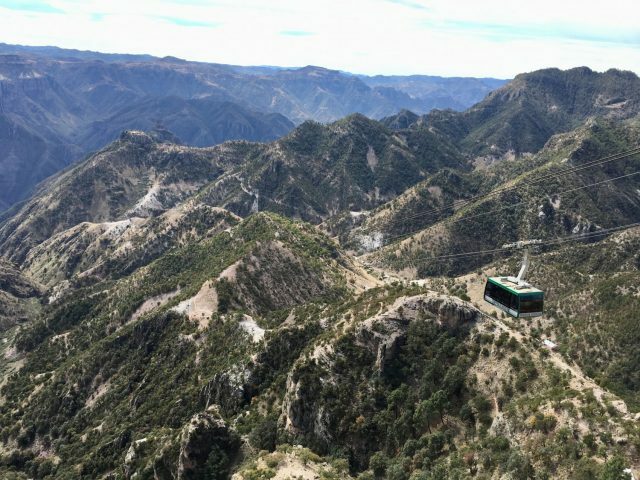 You can’t see it when you first pull into Divisadero station, but this where you’ll find one of (if not) the best view of the entire Copper Canyon trip. Every Chepe train, regardless of class, stops in Divisadero for 20 minutes. This gives passengers who aren’t spending the night the chance to admire the incredible vista. As soon as the train starts to slow down, grab your valuables (and main bags if you’re staying the night) and head towards the front of the train. When it comes to a standstill, jump off and head along the platform. Go past the food vendors and up the steps at the end of the platform. 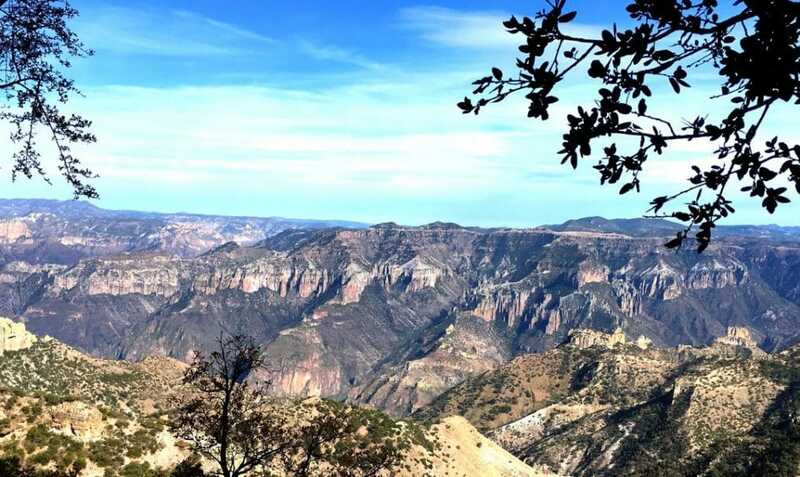 Turn left and cross the road to the viewpoint where you’ll see some of the most breathtaking views in Copper Canyon. If you’re not staying in Divisadero and are continuing onto Posada Barrancas or elsewhere on Chepe Regional, listen out for the train’s whistle indicating its imminent departure. You may also want to have a quick look round the food stalls and try some of the tasty looking street food on offer. The train (Chepe Regional only) will be slowing down again by the time you’re back at your seat as it arrives into Posada Barrancas station, right next to Areponápuchi village. We’re glad we stayed here instead Divisadero as there’s slightly more food options and things to do. Don’t forget you can still stay here if you’re travelling on Chepe Express. It just means you’ll need to walk from Divisadero to Posada Barrancas or arrange for your hotel to pick you up. You can pre-book accommodation but there’s only a couple of options online. There will be a couple of touts waiting on the platform though with signs for accommodation. Also if you walk downhill towards the village you’ll see there are signs for a few private cabanas. I suspect (and don’t quote me) that you’d have no trouble getting accommodation if you just turn up. Whether you got the early Chepe Express or the later Chepe Regional train, you’ll probably be ready for food by the time you arrive in Areponápuchi. You may be able to get something where you’re staying, but if not there are a few other food options. Just down the hill, there’s a couple of little shops selling basics and at least one local restaurant (we saw a couple more but they were closed). We went for the easy option and bought picnic stuff to make sandwiches for lunch that day and the next. After food, it’s time to go for an Areponápuchi walkabout. This won’t take long because Arepo, as it’s known locally consists of about twenty houses, a couple of small eateries, a tiny church and a handful of cabanas. The location is what makes Arepo an unmissable stop on your Copper Canyon Trip. Being the only village on the rim of the canyon means that away from the village centre you’re spoilt with the most incredible views in all directions. A must do whilst in Areponápuchi is a canyon rim walk. Touts offer tours to do this and the two main hotels, Hotel Mirador and Hotel Barrancas del Cobre, offer a 2 km walking tour for 120 pesos (£4.92), but it’s also really easy to do yourself as we did. Go opposite and slightly to the left of Posada Barrancas train station is a path leading up to the rim of the canyon. You can’t miss it as it has a big wooden sign saying ‘HOTEL POSADA BARRANCAS TO THE RIM’. Follow the path up through pines until you come out near the carpark of the Mirador Hotel. The path to the canyon rim is down some steps to the left of the hotel which lead to a small trail. Follow the trail down a short way and round to the right; from there you can walk all the way along the canyon rim. Slightly obscured by trees and vegetation at first, these soon give way to present the most spectacular panoramic views down into the canyon and miles into the distance. Dotted amongst the canyon walls you’ll see small Tarahumara settlements of caves and wooden shacks. 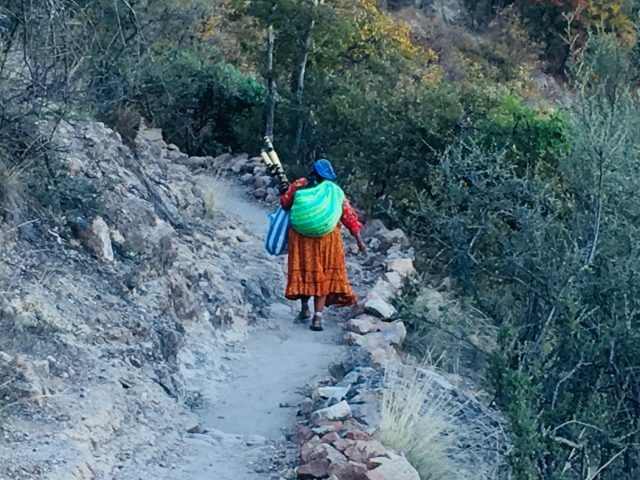 Tarahumara women and children are also likely to pass during your walk selling handicrafts. Note: If you arrived earlier in the day, you could also visit the Adventure Park (first activity of day 4) today by swapping things around. Especially consider this if you’re on the Chepe Express for the next stretch as there won’t be time for the park before the train leaves Divisadero next morning. It would be a huge shame to miss out on this; it was one of the highlights of our whole Copper Canyon trip. After dinner, make sure you stop on the way back up the hill to and look up to the sky. The lack of light pollution down in the canyon, combined with a cold clear night are the perfect conditions for star-gazing. If you’re an early riser, you could head back up to the canyon rim or Hotel Mirador to watch the sunrise on day 4. We didn’t wake up early enough, but imagine it would be wonderful. To catch the Chepe Express you’ll need to get back to Divisadero in plenty of time for the 7:15 am train; you can either walk or arrange a lift with your hotel. To catch the Chepe Regional, wait at Posada Barrancas station ready for when it arrives at 1:52 pm on a Monday, Thursday and Sunday. 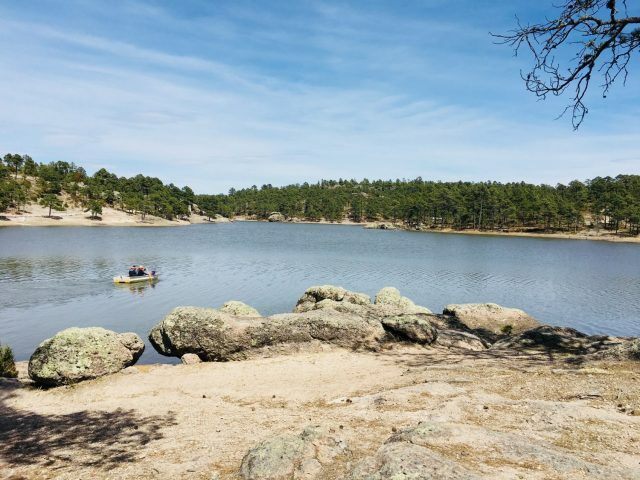 Even if you get the later train I’d highly recommend still getting up reasonably early so you have time to visit Copper Canyon Adventure Park (Parque Aventura Barrancas del Cobre). If you’re on the Chepe Express, you’ll have been able to fit this in on day 3. The alternative is to get there under your own steam, which is about a 40-minute walk in total. Follow the road uphill and to the left past the train station for about 20 minutes until you come to a little wooden hut and checkpoint barrier, manned by children. It’s 25 pesos (£1) and make sure you get a ticket as you might need it later. Then it’s another 20-minute walk through woods and by road to the official park entry. Towards the end of the walk is a walkway built along the rim of the canyon with strategically placed viewpoints for the best views. Even if you don’t have the time or choose not to go into the Adventure Park, try to at least walk this path. You won’t regret it, as everywhere you turn is yet another stunning view; the sheer size of it will make you feel tiny! After the walkway, it’s a little further along a dirt track to reach the actual Adventure Park where all the activities and facilities are. Just through the entrance are handicraft and street food stalls for you to peruse, before spending more time admiring the views and taking photos. There are many kinds of activities you could try depending on budget, interest and time. The key attraction is Ziprider, a zipline that stretches across three canyons; it costs 1,000 pesos (£50). Until early 2018 Ziprider was the longest zipline in the world until the Jebel Jais Flight zipline in the United Arab Emirates opened. We were gutted we couldn’t do this, but after the ride, there’s a 20 to 30-minute walk back and we’d have missed our train. To give yourself enough time to zip across the canyons on Zipliner do it as soon as you arrive at the park. Other activities include: a course of seven zip lines, a high ropes course including rapelling and rock climbing, a cable car, a tree-top walk with ten suspension bridges, cycling, horse riding, trekking and children’s activities. If you’d rather relax and take in your surroundings there’s a glass-walled restaurant or several seats alongside the walkways where you can do just that. If time and budget allow, you could easily spend a couple of days here. Be warned though that the adventure activities are very much on the pricey side. Even though we didn’t partake in any activities we’re so glad we took the walk up there for the stunning scenery. As per the previous day make sure you get to the train platform early. The station isn’t anywhere near as busy as Creel’s (Divisadero may be) and the train was actually 40 minutes late, but it’s better to be safe than sorry. 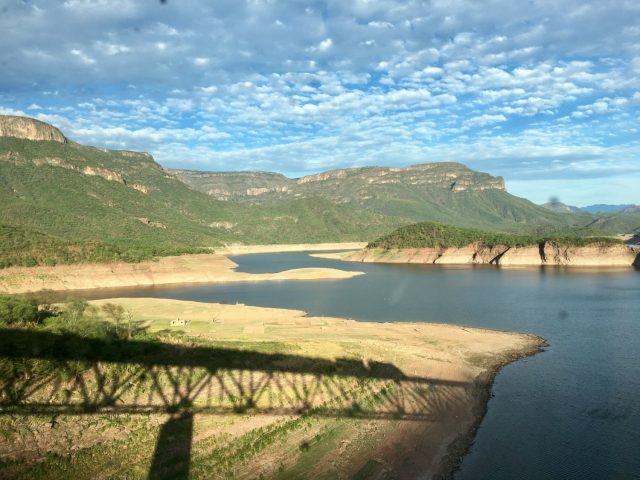 The train ride from Posada Barrancas (or Divisadero if that’s where you spent the night on day 3) to El Fuerte will be the longest part of your Copper Canyon train ride, taking about 5 hours 30 minutes. If you continue straight onto Los Mochis you can add another 2 hours onto that total time. I’d recommend at least one night in El Fuerte as it’s a great end to a Copper Canyon adventure. We took Chepe Express for what would be our last stretch of the journey made by train. This was because the days Chepe Regional ran didn’t work with our itinerary – having used both classes, we couldn’t see much of a difference. In fact, the only real difference was the dining carriage on Chepe Express which serves full meals. We’d have been just as happy on Chepe Regional and saved ourselves a ton of money if only the dates had worked. The first couple of hours of this last stretch of the railway is more of the same pine tree-clad hills; you may even want to take the opportunity to take a nap. If you do nap, set an alarm because it’s not much longer before El Chepe enters a river valley with towering cliffs on either side. Yet again, prepare for your eyes to be treated to some incredible scenery. You should be able to get great shots from the open windows between two carriages as the train winds its way around narrow ledges. This is Septentrion Canyon in all its glory with the most dramatic, mind-blowing views. The sights will vary dependent on the time of year; in March the pink-blossomed trees were a beautiful contrast with the rocky riverbed, sparkling water and copper-coloured valley walls. I was also lucky enough to spot a flock of bright green parakeets flying alongside our carriage and a bird of prey gliding with fresh catch hanging from its talons. As you leave Septentrion Canyon, a big, blue mountain lake will come into view. Again, have your camera at the ready because as the train passes over Chinipas bridge, the views over the mountains and lake are, yet again unbelievable. The landscape changes one more time as you finally leaving the canyon and Chihuahua state to enter Sinaloa. Massive cacti start to appear on the hills and fields, the type that reminds you of old Western films. I love cacti (I collected them as a child), so I spent a long time trying to get some decent photos. Eventually, the ground begins to level out and horses, cows, cowboys and indigenous people appear in the fields near small remote houses and farm buildings. If you caught the later train, I hope you get to see a blood orange coloured sunset as amazing as the one we did! By the time the train gets to El Fuerte the mountains will be left behind in the distance and the land will be almost flat. If you take the Chepe Express you should roll into El Fuerte station, early afternoon. If you take the Chepe Regional it will be nearer to 19:30 in the evening. The station is little more than a platform with a small covered waiting area (from what we could see when we arrived at night). It’s about 8 km from the city centre, and there’s no public transport, so unless your accommodation (if you pre-booked) sends a pick-up, the best option is to take a shared taxi into the centre. There should be several waiting for the train to arrive and should cost about 60 pesos (£2.50) per person. The drivers try to fill the taxis up before leaving, although I’m sure you could pay for the whole car if you didn’t want to wait. If you arrive at night, starving and tired like us, you may just want to check into your accommodation and go straight out for food before crashing for the night. Head to the main square where there’s a few restaurants and cafes around the edges or on the streets en-route. For a quick fix, try Bernardo’s, a glorified (but good) fast food joint, full of locals and domestic tourists in town for Semana Santa. Note: If you got the early Chepe Express train you may want to do some of the day 5 activities in the afternoon of day 4. This will give you time for a nice lay-in on day 5, or maybe one of the alternative activities I mention later. There’s really no rush today as Los Mochis and the end of your Copper Canyon trip is only a couple of hours away. El Fuerte, the birthplace of the legendary Zorro is the last destination worth exploring in the Copper Canyon. Try to stretch out your time there for as long as possible. We spent the morning and early afternoon exploring El Fuerte and could have stayed at least another day and night. 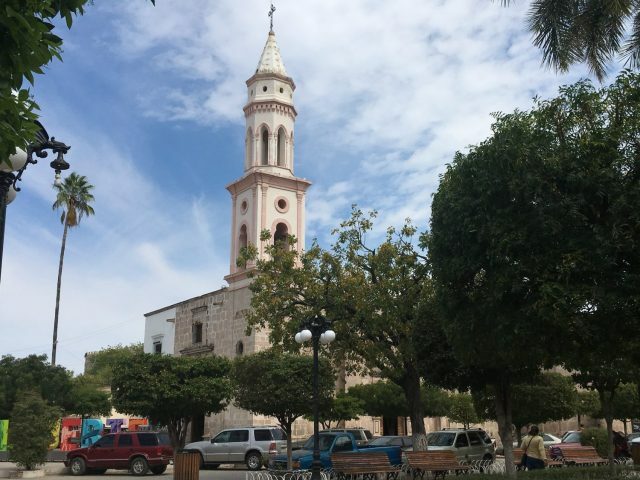 Take some time to explore El Fuerte’s historic downtown at your leisure. The majority of the old colonial buildings have been restored and are painted in rich colours and pastels. With huge wooden front doors often thrown open to reveal attractive courtyards, it’s like getting a glimpse into days gone by. At the centre of it all is El Fuerte’s main square, which has to to be one of the prettiest we saw during in Mexico. 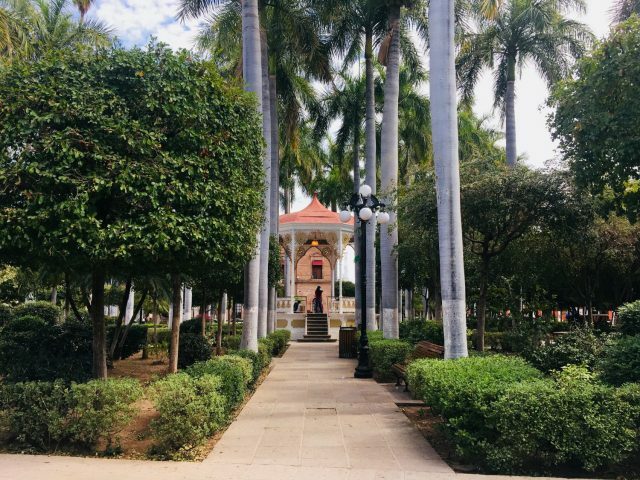 A central gazebo protected by tall palm trees is surrounded by benches, fountains and bronze statues. What better place to stop for a coffee in one of the nearby cafes or take an ice cream to eat in the shaded square. On the opposite side of the road, historical buildings border the main square, be sure to take a look at the Palacio Municipal. Occupying a whole block this majestic salmon coloured rectangular building has a traditional open-air central courtyard with a splashing fountain. Two levels of arches are decorated with trailing bougainvillaeas and there’s a colourful mural painted in the stairwell leading the second level. On another side of the plaza is an old, but beautifully restored Catholic church which you can look around if there’s not a service in progress. Take a pleasant walk along the wide stone pathway that follows El Fuerte River behind the city. We did this then looped back through the backstreets into town to give us a better insight into local life. El Fuerte actually means ‘the fort’ in Spanish and is so-called because the city used to be a fort. The original fort has long since gone but a replica has been built on the hill where it used to be. This replica is also a museum which showcases the history of the city and surrounding area and also has good views of the town and river from the top. It costs 20 pesos (£0.80) and I think worth a look if you have time. 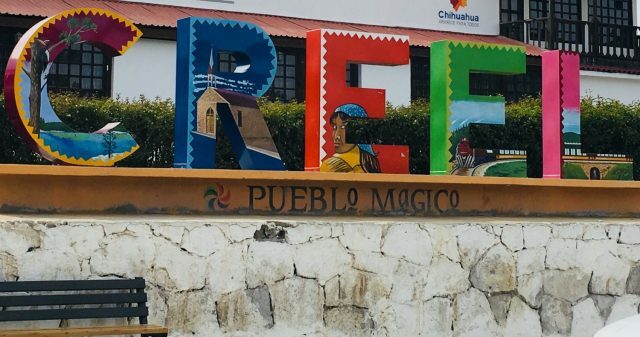 If you have more time in El Fuerte (we wished we’d stayed at least two nights), there are a few other things to see and do. A short hike to the Hill of the Mask and over 200 petroglyphs carved in the rocks there sounds intriguing. I’m sure you could do it independently or alternatively, you could arrange a guided tour through your accommodation. Some agencies offer this combined with a birdwatching or river tour. You could also spend some time relaxing in Jidago hot springs or go rafting or kayaking on the river. Or of course, you could just slow down and relax and enjoy a traditional Mexican town. The last section of your Copper Canyon journey is from El Fuerte to Las Mochis (if you’re going that far). You can get a train but I don’t think it’s worth the money or the inflexibility of the train schedules. I’d suggest getting a colectivo as they run regularly throughout the day and only cost 70 pesos (£2.90) per person. Just ask someone to point you in the direction of the correct colectivo then off you go. The journey should take around 2 hours. Make sure you have your Los Mochis accommodation marked on Google Maps or Maps.me as you’ll need to call out to the driver when you need to get off. We errored on that and ended up with quite a walk when we arrived in Los Mochis. You’re unlikely to want to spend much, if any time in Los Moschis as there isn’t supposed to be a great deal to do. We just used it as somewhere to overnight before our early morning flight to Guadalajara the next day. Despite this, we were pleasantly surprised with what we did see of the city as we’d heard lots of unsavoury things. However, I’m not sure we really got a true impression of the place as we lucked out with our hotel. It turned out to be in a fairly upmarket residential area which was actually pretty nice. It may not have been the same story had we stayed in a different area. Accommodation options in Copper Canyon are rather limited except for in the cities of Chihuahua and El Fuerte/ Los Mochis at either end of the railway. 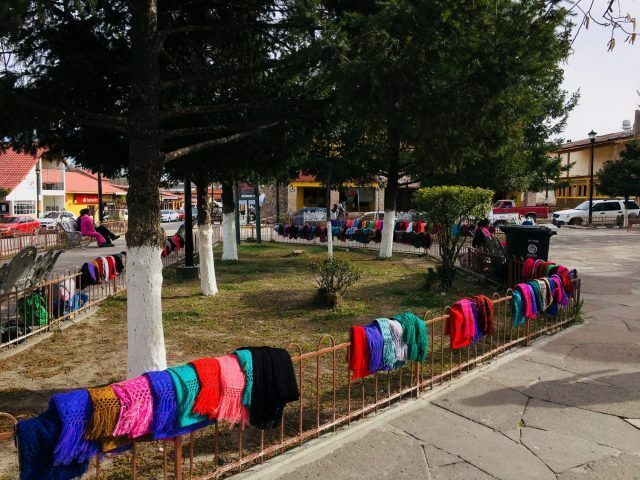 This is especially true around the smaller train stations such as Divisadero and Posada Barrancas and some villages at the bottom of the canyon such as Batopilas. 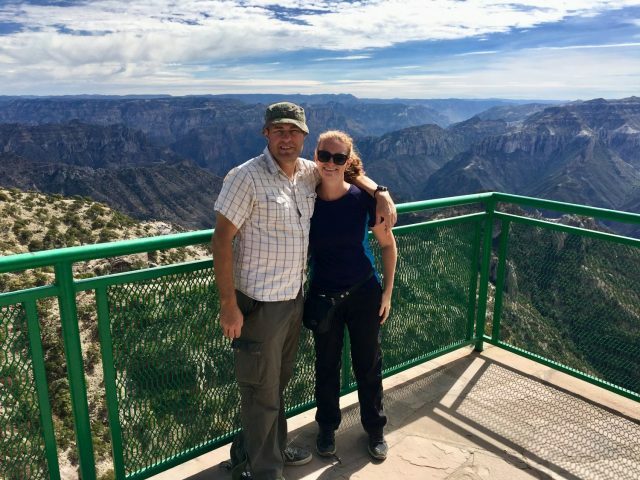 We stayed in five places during our Copper Canyon trip which I’ve reviewed below. La Decima Guesthouse is conveniently located in the historic centre of Chihuahua. It’s in a beautiful old house and is managed by the wonderful Urbano, he was warm, welcoming and full of helpful advice for our stay and onward travel. The double room we stayed in was simple but spacious. It was equipped with everything we needed for a comfortable stay – even a little electric fan heater for if the nights get cold. The shared bathroom was spotlessly clean and there was plenty of hot water for the shower. There was also good quality wifi which is quite a rarity in Mexico. For 300 pesos (£11.50) per night for the room, it was excellent value for money. We were hosted for two nights by Villa Mexicana Creel Mountain Lodge. Read more in our full Product Review Disclosure. Villa Mexicana Creel Mountain Lodge is a fantastic traditional Mexican mountain lodge. 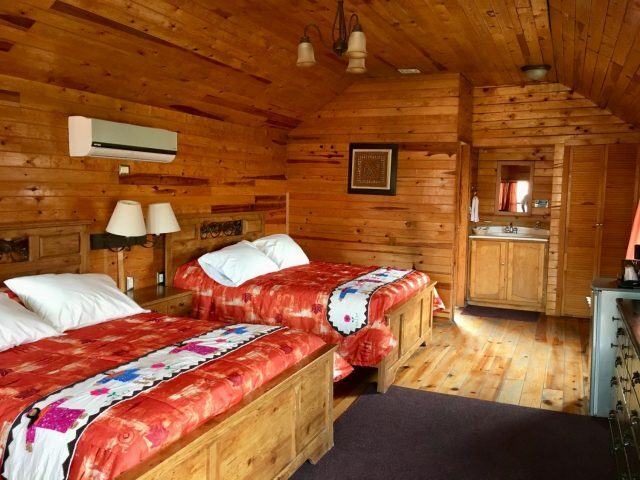 It has many rustic wooden cabins, plus rooms and suites inside the main building and a campground. The wood cabins vary in price from $78 (£59.40) for a standard cabin up to $132 (£150) for a ‘Mr Suite’ which sleeps six people. We stayed in a Junior Suite which was a spacious log cabin with its own terrace and swing chair. It had two big, clean and very comfortable double beds, flat screen TV, fridge, tea and coffee making facilities and complimentary water. There was also an en-suite bathroom, with a bath, shower and toilet; the washbasin was outside the bathroom in the main cabin. The cabin also came equipped with a heating system which we put to good use as it gets quite cold at night in the canyon. I absolutely loved our cosy cabin and wished we could have stayed much longer than we did. The reception, restaurant and bar area of the Villa Mexicana lodge are decorated in bright, warm colours which made us feel welcome and at home as soon as we arrived. Unfortunately, we only got to eat breakfast once in the restaurant as we were busy exploring the rest of the time. We just chose bread, Mexican style scrambled eggs and coffee which came to 133 pesos (£5.50) each. Outside the restaurant is a terrace with lots of tables and gas heaters and a view up towards the hills and forest. We really enjoyed sitting out there with a beer, making use of the wifi to catch up on some work in the late afternoon. Other facilities are a children’s playground and a small shop next to the reception selling camping basics, drinks and snacks. There are also many tours on offer should you prefer a guide to show you the area. Hotel Barrancas del Cobre is one of only two hotels in Areponápuchi and is directly next door to Posada Barrancas station, literally a two-minute walk away. We were met off the train by a member of staff who walked us to the hotel which I thought was a really nice touch. They offer two types of rooms, a King Garden with a king size bed and a Standard Garden with two double beds. Attractively decorated in Mexican hacienda style they had a big screen TV, dressing table and chairs, washbasin, shower room and toilet and heating. We paid 1,400 pesos (£57.40) for the night, but prices vary depending on the time of year. There’s no restaurant at Hotel Barrancas del Cobre but you can get coffees and snacks from reception. Breakfast is included in the price but you eat this at their sister hotel Posada Barrancas Mirador which has the wonderful views of the canyon so you get the best of both worlds. Hacienda Santa Cruz is a family run hotel on one of the main streets of El Fuerte, a short walk from the main square. It’s colonial style with rooms built around a central courtyard. Very simple with no frills, with the need for a bit of sprucing up it was still fine for one night on a budget. We paid 325 pesos (£13.30) for a basic double room with a small en-suite shower and toilet. Breakfast was included in the price and consisted of cereal, toast, fruit and coffee which was fine to keep us going for a while. There is wifi but whilst we were there it wasn’t working so don’t count on having it. Hotel Ibis Los Mochis was our hotel for the final night of our Copper Canyon adventure. We had an early flight the next morning so we chose it for convenience as it was fairly close to the airport. The hotel was modern and clean with a bar and restaurant. The only downside was how tiny the room was, it was extremely cramped for the two of us. For one night, and just to sleep it was fine though if a little pricey at 759 pesos (£31). There are many other accommodation options in Chihuahua and Los Mochis for all budgets and a few more en-route, although these tend to be bigger or boutique hotels which are on the pricey side. Many of the smaller private posadas don’t have websites so you can only stay there by taking the risk and just turning up. Look for touts at the train stations or walk through the village or town and keep an eye open for accommodation signs. I booked most of our accommodation for Copper Canyon on Booking.com as that’s where I always find the best deals. 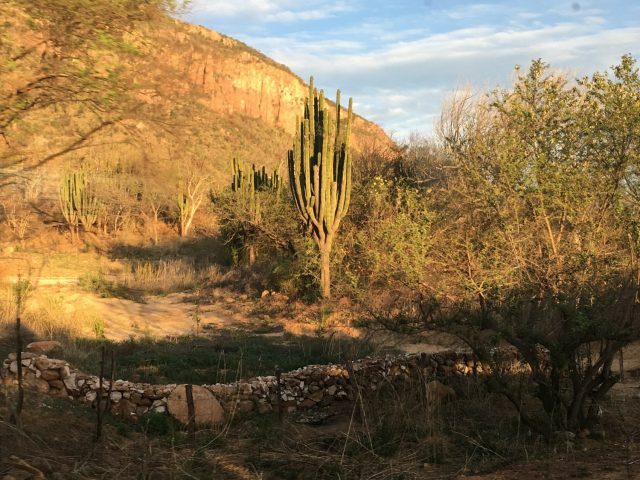 I hope this itinerary helps you plan your own Copper Canyon trip, even if just as a starting point for you to adapt to your own schedule and budget. If you’d like to see more from our experience check out this 13 part Copper Canyon playlist on Andy’s YouTube channel. Note: Don’t forget to take a look at our post How to Book El Chepe Train Tickets for Copper Canyon as there are several considerations to make before finalising your plans which may impact your itinerary and modes of transport. If you can allow more time for your trip, definitely do so. We wish we’d have been able to take it much slower as there’s so much more we’d have liked to see and do. Have you travelled through the Copper Canyon? If so we’d love to hear about your adventure in the comments below. Product Review Disclosure: Villa Mexicana Creel Mountain Lodge provided us with a complimentary two-night stay. This did not influence my post in any way and as always I’ve provided balanced and honest reviews. Read more in our full Product Review Disclosure. Until now, I really knew nothing about Copper Canyon except for the zip line. Would love to take this journey one day! I hope you get to do it one day. What a great informative post. It’s definitely a different side of Mexico. Would love to do that one day. Wow- what a trip! I had no idea this location even existed but it is so gorgeous!! It really was stunning – such an adventure. It is a fantastic trip, I think your wife will be fine. My husband speaks literally no Spanish and my Spanish is pretty rusty and we managed fine. What a wonderful and informative article. On my bucket list! Thank you  I hope you get to go at some point! Outstanding! We popped by here in 2010, but did not realize thier is so much to do. You have inspired us to return for an extended visit. Thanks. We retired to the Rivera Maya in Mexico 5 years ago. We live just outside of Playa del Carmen. It’s now time to move on and do some serious traveling,so we will start by spending at least a month traveling Mexico from south to north, then we’ll head to SE Asia (again)for some long term stays. The Copper Canyon trip sounds wonderful and something we should see before we leave our adopted country. Thanks for the info and the great article. Live is short. Travel. Got you in my travel favourites folder and will be going back to Cambodia. I just may have to put this on my bucket list! Your pics are fabulous and the canyon rim walk and seeing a mission would be memorable! Great post. I would never dare to go on such an adventure, were it not for high quality articles like this one to accompany me every step of the way! Very inspiring!